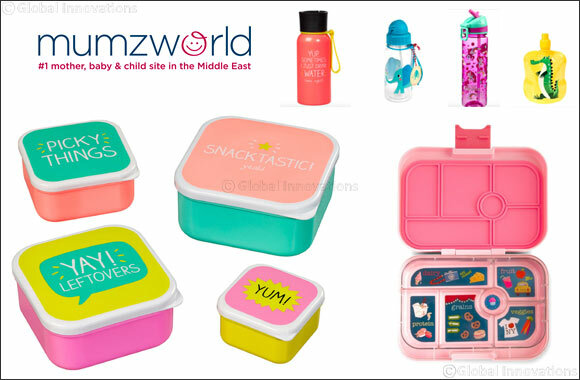 Dubai, UAE, August 29, 2018: Largest selection of Lovely Lunch Boxes, Brilliant Backpacks and Wonderful Water Bottles; mumzworld.com have everything so that your kids can be ready for anything this week! Back-to-school is almost here and with it comes a lengthy shopping list, especially if you have more than one child to think about! There is nothing quite like starting the new academic school year in style, with a shiny new lunchbox fit for a king or queen, a durable and trendy water bottle to stay hydrated in style and a brilliant new backpack to start the term in the right way and be the talk of the class (for the right reasons!). Luckily mumzworld.com has everything, so your kids can be ready for anything this back to school season. The largest mother and baby vertical has more than more than 200,000 products on their site with 10,000 exclusives for back to school, from brands you love! So if you are looking for unique and exclusive pieces to handpick together with your children from the comfort of your home with not a single busy mall in sight, head over to http://www.mumzworld.com/en/back-to-school and enjoy savvy shopping in style. Be ready for absolutely anything this Back-to-School season with mumzworld.com. To make choosing your all-important essentials that little bit easier, here are our top picks, guaranteed to bring lots of happy smiles as you wave off your youngsters at the gate this term.